“Level -1 of the Pay Matrix introduced on implementation of the 7th CPC Report be the replacement for the pre-revised —1S scale. 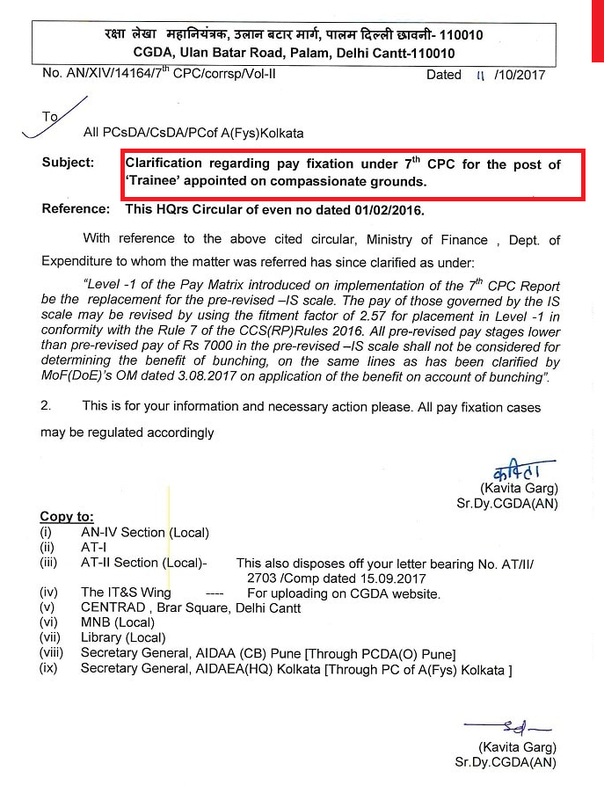 The pay of those governed by the IS scale may be revised by using the fitment factor of 2.57 for placement in Level -1 in conformity with the Rule 7 of the CCS(RP)Rules 2016. All pre-revised pay stages lower than pre-revised pay of Rs 7000 in the pre-revised —1S scale shall not be considered for determining the benefit of bunching, on the same lines as has been clarified by MoF(DoE)’s OM dated 3.08.2017 on application of the benefit on account of bunching”. “Level -1 of the Pay Matrix introduced on implementation of the 7th CPC Report be the replacement for the pre-revised —1S scale.